And there was another one. 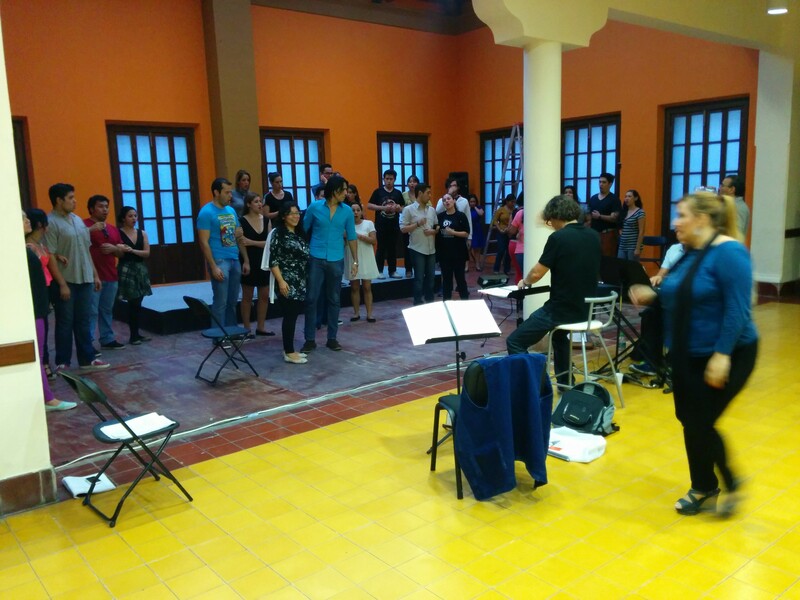 Act 1 involves a ship ride from La Paz to Mazatlán over the Sea of Cortez. Squalls, called “chubascos” can come up at any time and just as quickly go away. Just after this picture was taken (above) it started raining. It was Hurricane Vance going over. The streets outside our rehearsal turned into rivers. The room we rehearsed in at the Casa Haas, had a glass roof over it, and unfortunately leaks when it pours rain. So the singers got a bit wet, and they had to compete with the sound of the pouring rain on the glass roof. I loved it. In that I often compose while listening to recordings of rain and thunder, it was perfect for me. We had our own personal chubasco.